8 Gift ideas for Her this Christmas! Still wrecking your brains over the Christmas list? Whether it is for a friend, your girlfriend, mom or yourself, beauty products make the perfect gift! They come in a whole spectrum of colors and range from affordable to ones with a hefty price tag. You’re bound to find one that fits your budget while pleasing your loved ones! The TOO FACED Boss Lady Beauty Agenda helps your always-occupied friend organize her schedule so she has more time for better things, such as playing with the 24 beautiful eyeshadows included in this palette! Get it from Sephora. You’ll never go wrong with a Jo Malone London gift set. Drench your loved one in warm, autumn fragrance with JO MALONE LONDON Luscious & Lively Trio gift set! Besides having the brand’s famous cologne, this gift set also contains a body wash and body crème to up her fragrance game! Get it from Sephora. Watch her gasp as you present this massive NYX Soft Matte Lip Cream Vault II. 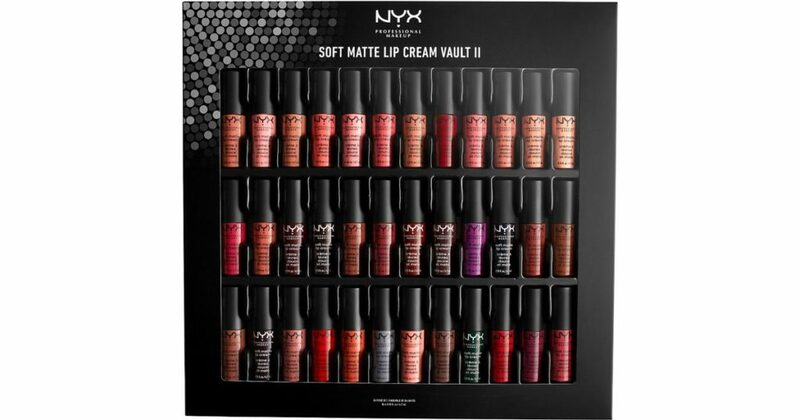 Packed with 36 shades from one of NYX’s best selling lip ranges, these lip creams are not only pigmented but also really comfortable on the lips. She’ll be so spoilt for choice! Get it from NYX. Intense highlight is not for everyone, but if she happens to be able to rock it, why not get her a BECCA Après Ski Glow Collection Face Palette? Containing 6 stunning shades that can work either as a blusher, highlighter or bronzer depending on her skin tone, she’ll definitely find this beautiful palette luxurious and practical! Get it from BECCA Cosmetics. The best deserves nothing less. 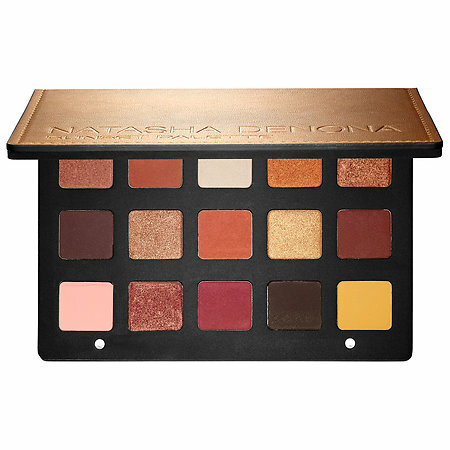 You will not regret splurging on this NATASHA DENONA Sunset Eyeshadow Palette when you see how impressed she is by your taste of makeup. Natasha Denona is one of the popular brands causing a storm on the internet as many beauty gurus are now raving over the brand’s high quality and cruelty-free products! Get it from Sephora. Pamper her skin with the LANEIGE Hydration Kit, which is a suitable hydration regime for all skin types. Laneige is one of Korea’s leading brands when it comes to beauty, so you can rest assured that her face is in good hands! Get it from Sephora. Nothing suits her better than the FENTY BEAUTY By Rihanna Galaxy Eyeshadow Palette. 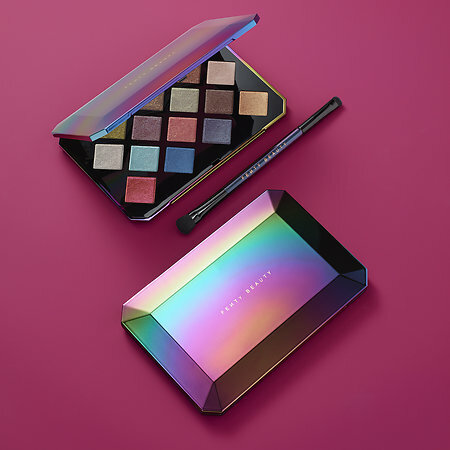 As its name suggests, this limited edition palette was inspired by the galactic and includes 14 celestial-inspired colours that only your magical friend can rock. Get it from Fenty Beauty. 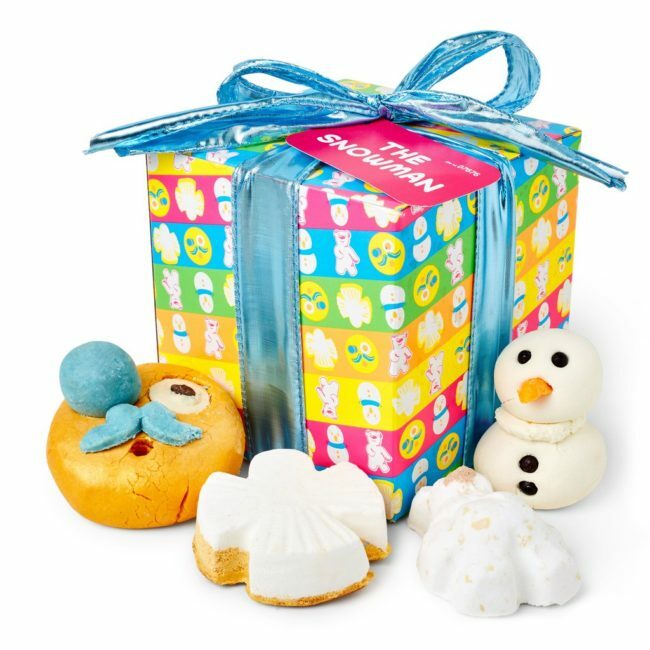 Even though she’ll probably take even longer to bathe with the aromatic LUSH The Snowman Gift set, at least you know she’s having a merry time in the bathroom! Get it from Lush. What are you waiting for? Time to cart out these items so they arrive in time for her on Christmas!